There are 49 items in the categories listed below. ForgeLine Motorsports manufactures the world's finest premium forged aluminum custom performance Corvette racing wheels for the most discerning enthusiasts and the most demanding applications.ForgeLine Corvette wheels are machined from heat-treated 6061-T6 aluminum that is forged on a 6000-ton hydraulic press. This forging process aligns the grain structure, reduces porosity and increases uniformity in the material, creating the highest strength-to-weight ratios and the most consistent quality. On average, their forgings are 40% stronger than cast aluminum. Zip carries a large selection of ForgeLine Corvette wheels for C5, C6, Z06, ZR1 and Grand Sport Corvettes and we are ready to help you find the right set of performance wheels for your needs! 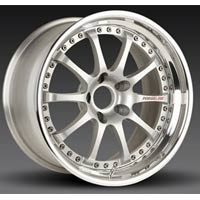 We have installed ForgeLine Corvette wheels on our own Corvettes and offer free mounting and balancing for wheel and tire combination purchases. 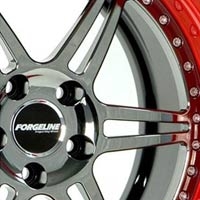 Contact Us for more information about ForgeLines wheels - we can help you explore the near infinite customization options available specific to your C5 or C6 Corvette. 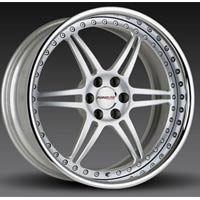 For more information about ForgeLine Corvette Wheels read our "Corvette Wheels by ForgeLine" blog post at Corvette Parts Blog. There you can get an idea of what options are available and learn about the manufacturing process from start to finish.